What Is Fee based Financial Planning? Fee based financial planners do not take commissions individual investment product sales. Instead, they are compensated via a clear, upfront fee based on assets under management that does not vary on the basis of their ability to sell new products or attract new clients. There are several clear benefits of working with a fee based Sugar Land area retirement professional. For starters, commissioned advisors face deep-rooted conflicts of interest on a daily basis. As an advisor, it is difficult to uphold one's fiduciary responsibility to one's client while worrying about how to maximize commissions on a particular relationship. To meet quotas or boost their take-home pay, commissioned advisors are compelled to sell financial products and services that clients may not really need. This saps clients' confidence, particularly in situations in which the conflict of interest is apparent to everyone involved. Commissioned advisors and the firms that employ them may also subject clients to confusing and potentially punitive agreements that make it difficult for the client to terminate the relationship. A Sugar Land area fee based financial professional typically avoids surrender charges, lockup periods and other conditions that limit clients' freedom and trap them in unsatisfactory relationships. However, please remember that fee based financial planning may not be suitable for all clients and Post Oak Capital Group also provides traditional commissioned based financial services. 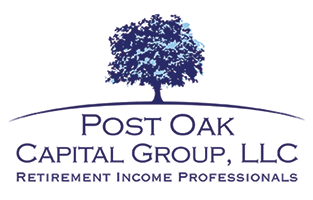 Whereas commissioned advisors onlyearn commssions on the products they are selling and how that helps their bottom lines, Post Oak Capital Group and other fee based financial advisors genuinely care about advising and informing current and prospective clients. For instance, we offer no-obligation financial reviews that assess your short, medium and long-term needs and goals. We also offer comprehensive, customized investment strategies that address these goals with a sustainable, balanced strategy that aligns your risk tolerance with your desire for asset growth. Such an approach lends itself to the proactive, effective management of your entire asset portfolio, not just the assets that you choose to devote to the particular investment product being sold on any given day. Over the long run, this may be better for your bottom line - and your satisfaction with our services. For more information about fee based financial services or to schedule a no-obligation consultation with a fee only Sugar Land areafinancial advisor, fill out the online contact form or call us at (713) 960-6949. *Fee based planning services offered through Investacorp Advisory Services, Inc.